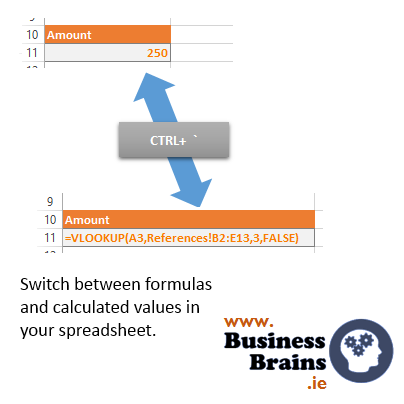 Show/Hide formulas in the Formulas tab, Auditing Tools group. That’s brilliant when you have a lot of calculations and you need to check that they are consistent for instance. Think it’s useful and everybody should know about this? Comment, Share or Like this tip. We love our followers.